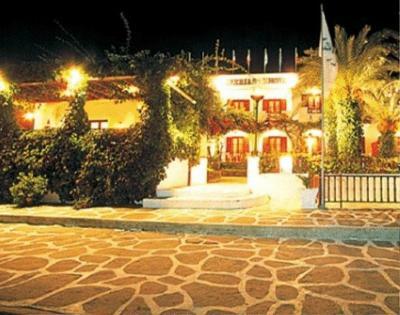 Was inside the town and we love to do the excursions there but was not with the hotel. The swimming pool is small but it’s quiet and lot of sun so the only think who has good was the swimming pool ! Great location and perfect for a couple of nights stay. The location was amazing. 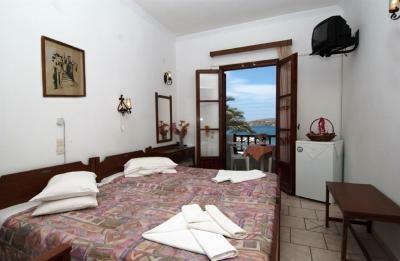 Walking distance aprox 5 min from port and close to the city centre, close to the beach and to restaurant areas. 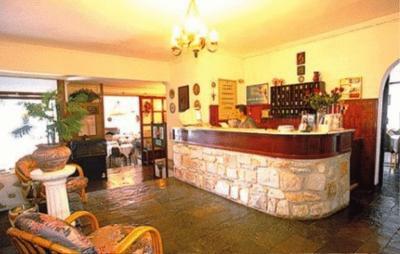 The hotel is located well for the port and the beach at Livadia. Convenient to main town and all it has to offer. Reasonably quiet. Location is really good. 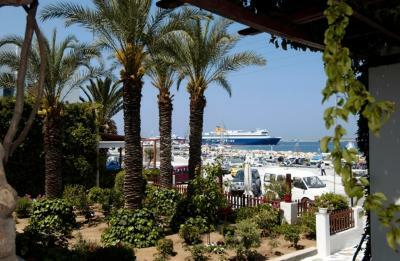 Close to Parikia center, the port and the beach. 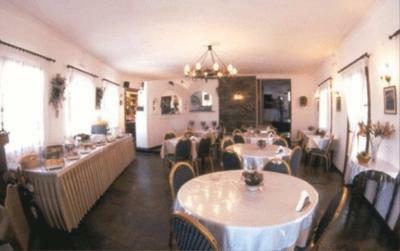 Very nice restaurants also around. The place is old but cheap. Good value for money. Asterias Hotel This rating is a reflection of how the property compares to the industry standard when it comes to price, facilities and services available. It's based on a self-evaluation by the property. Use this rating to help choose your stay! Featuring an outdoor cafe with open sea views, Asterias Hotel offers air conditioned rooms with private balconies facing Mount Kefalos. It is only 150 feet from the sandy beach Livadia. 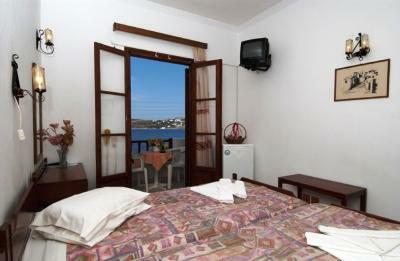 Asterias features traditionally furnished rooms with satellite TV and a fridge. Each includes a private bathroom with hairdryer. Free Wi-Fi is available in the entire property. 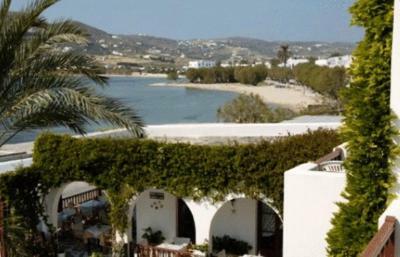 Hotel Asterias has a breakfast buffet restaurant and a lounge with satellite TV. 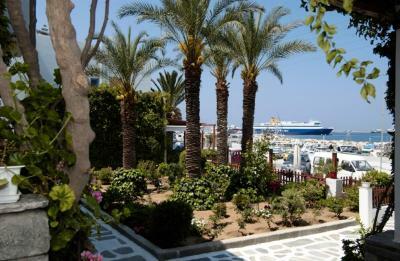 Guests can also enjoy the hotel’s spacious grounds. 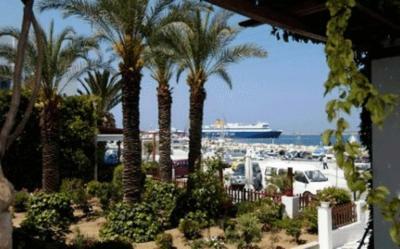 Asterias is 1,300 feet from Parikia Port and close to the bustling center of Parikia. Free public parking is available close to the hotel. The multilingual hotel staff is on hand 24/7 and offer baggage storage service. 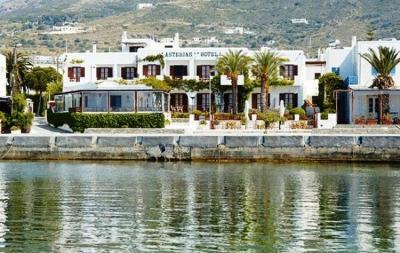 Asterias Hotel provides port and airport shuttle service for a surcharge. 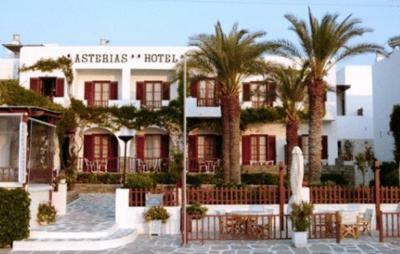 When would you like to stay at Asterias Hotel? 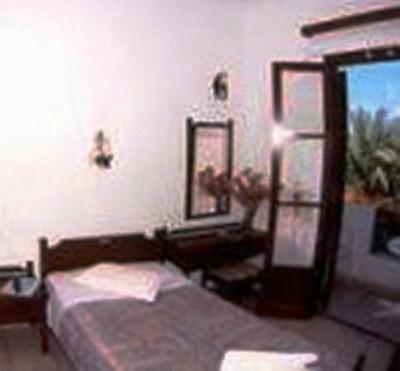 This air-conditioned room has simple, attractive décor and a balcony with sea or mountain view. There is free Wi-Fi, a fridge, satellite TV and a private bathroom with hairdryer. 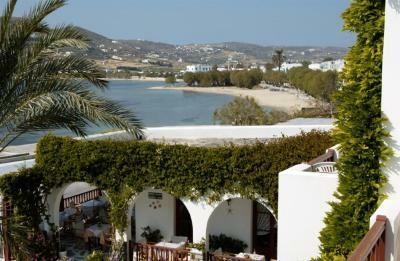 ASTERIAS HOTEL, located in one of the most beautiful Aegean island, Paros, only 400m from the port and 50m from the Livadia beach, very close to Parikia\'s center, built according to the ancient Cycladic architecture, promises you of a wonderful vacation in its friendly and hospitable environment. All of our staff speak fluent English and Italian, to insure maximum communication with the visitors in order to make your vacation unforgettable. 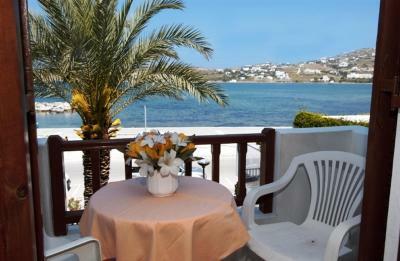 Come to Paros Greece and make your dream vacations... come true! 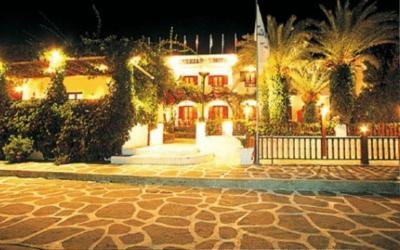 House Rules Asterias Hotel takes special requests – add in the next step! Asterias Hotel accepts these cards and reserves the right to temporarily hold an amount prior to arrival. I was not informed ahead of time that Asterias hotel which I booked initially was closed for a time being. I had to ask around as to where I should go next. 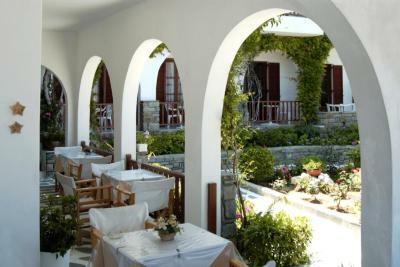 I was instructed by a nearby bar to try Pandrossos Hotel which is a sister hotel ( I believe). The good thing was the hotel was much bigger than the one I reserved. However, it couldn't compensate on that night the long walk I made plus the burden of carrying an extra luggage while walking in a cold night. Hotel needs renovated particularly bathrooms. Bed was uncomfortable. The breakfast really poor , no WiFi inside the room. We ask EVERY DAY to the front desk to have WiFi they said « we will ask to the manger « and every day we came back to ask and .... nothing !!! They didn’t care ! The check out was .... weird.... and i never received the receipt I asked !! Absolutely would NOT recommend! The property is super old, moldy, stuffy smelling. The A/C did not work, took them 4+ hours to get someone to come by to repair and finally was able to swap out rooms for us which they could have done way before but did not! Wie did NOT Like; noisy fridge we have to switch off during the Night , hard thin bed we have put plaid under the sheets to get some sleep, aircon wrong placed in the room so our upperbody had windblow during the night. And our first Meeting with the staff WHO more or less didnt care- esspecially the bodybuilder type dressed in a bodygym tanktop( thats a bad signal for a prof hotel). In general, the noise from the old hydraulics from the other rooms -at night-. Also the rooms are quite old. The electrical sockets and switches where out of place with exposed cables. Dangerous if you have kids around. Attitude of staff was really poor. Bathroom was shocking, balcony doors had no way of being secured so banged if left open to enjoy the sunrise. Wifi didn't work in bedroom and barely in common areas and the breakfast was so average and rather stale I chose not to eat it the second morning. Staff weren't great or very helpful. 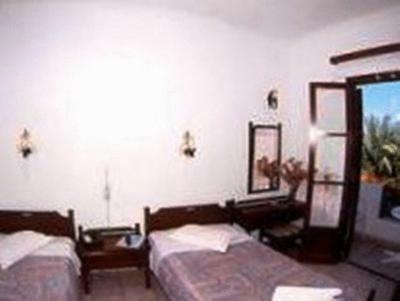 Air condition didn't work the best, bathroom/shower was poor and the beds weren't very comfortable. Wifi is terrible, connection in rooms is almost non-existent. They are collecting breakfast too early, usually before the time it should finish, so you need to go early. The pool doesn't look like the one in the pictures. I didn't see anyone using it. Very small and not taken care of. I booked a room at a price of 440 for 6 night room with sea view. The room was on the ground floor next to reception aswell as my balcony. I immediately said this is not view to the sea but your visitors. I said ok I need a private balcony and only available was with mountain view. Hopefully she did that. The room was very poor. The bed's mattrice is more that 30 years old and was like slepping in the floor. The internet was NOT reachable as they said at that room and never logged in. Also the noise was unbeliveble especially all the doors banking when the cleaners went to the room to clean every day, resulting not to sleep well atall. The doors was mainly the problef for the noise, are too old. I dont want to continue, very dissapointed..I payed a tons of money for a crappy room....anyway normally you have to take them out..is the dsgrace of the Greek tourism. Thank you. 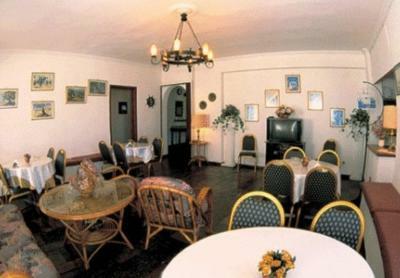 This hotel is extremely old fashioned and looks tired and a bit shabby. I didn't like the fact that they charge for things like carrying luggage to rooms and renting a safe. I didn't need or use these facilities but felt that it was just a way of squeezing more money out of guests. I also think the prices charged for the rooms and the general standard of the hotel is excessive and they seem to be able to do this only because of its convenient location. The wifi was terrible. I could connect to it sometimes but it was really slow and would drop out all the time. There was no wifi in the room, only near reception.